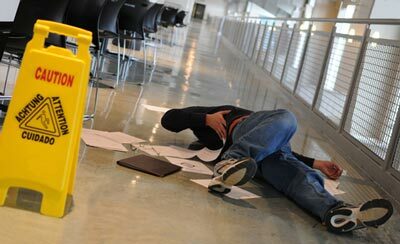 It is custom that there are two ways of negotiating a suitable settlement in the event of a slip and fall accident. The first option is to negotiate a settlement agreement, this entails forfeiting your right to sue those responsible in exchange for payments for damages. The other option involves taking those responsible to court by your claim and proving your case. For slip and fall accidents, it is important you get a qualified attorney to look into your case and help declare it in court. Most attorneys may be good at making or negotiating settlements and while others are really good at representing their clients in court. However, only a handful of attorneys here in Moreno Valley, CA can be said to be good in both. With Rawa Law Group, you do not have to make the choice between a settlement negotiator and a trial lawyer. We have a legal team that has attorneys relevant in all the aspects and turns your case might take be it settlement negotiation or trial lawyer. Our firm has for over two decades provided meaning representation for our clients raking in settlements to the tune of hundreds of millions through the years. With the foremost negotiation skills of our attorneys, you would get the best possible compensation, however, if we can’t strike a satisfactory deal, our experienced trial lawyers will take your case to court and bring you the best representation possible. Take advantage of our free consultation sessions today, reach us via the address below.